Waterjustice.org was born at the fourth World Social Forum (Mumbai, January 2004). 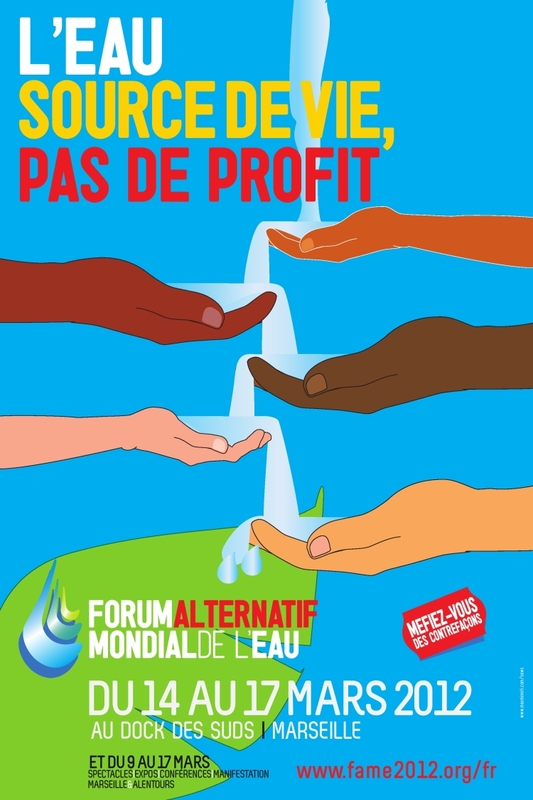 Inspired by seminars on alternatives to water privatisation and how to finance public water, groups from around the world committed to intensify their co-operation on these key issues. One of the decisions was to develop waterjustice.org into a virtual resource centre and meeting place for exchanging experiences, debate and strategise. 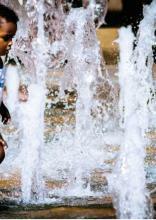 ...the numerous collectives and institutions that defend water as a common good and as a human right (SOSte To Nero, Initiative 136, EYATH Workers' Union, Water Warriors, Open Assembly of Citizens for Water, and the Regional Union of Municipalities to name but a few) decided to step up the political pressure by organising a city-wide referendum regarding the privatisation of EYATH. The referendum is non-binding, as the Greek legal framework does not allow consulting the population on government policy unless it is ratified by presidential decree or an enhanced majority in the parliament. However, the organizers are certain it will make evident the overwhelming opposition of the population towards the privatization, and it will serve as a manifestation of popular will. 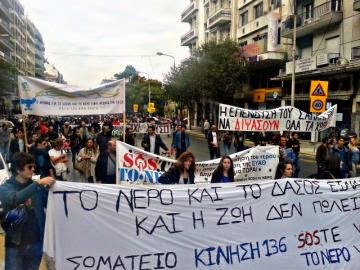 As a condition for the Troika’s financial assistance, Greece has been forced to implement a set of drastic austerity measures, including the privatization of several state-owned companies. 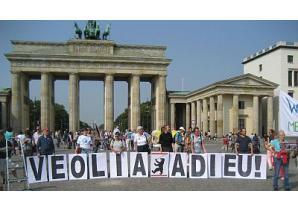 The public water utilities of Athens and Thessaloniki are among the targets. Both are profitable companies, which no one there wishes to see pass into private hands. But the Greek government and its creditors seem bent on imposing policy whose economic merits and democratic legitimacy seem rather dubious. A French company is especially active among the candidates for privatizing water in Athens and Thessaloniki: Suez Environnement. This article was originally published in French. Translation: Egor Lazebnik. 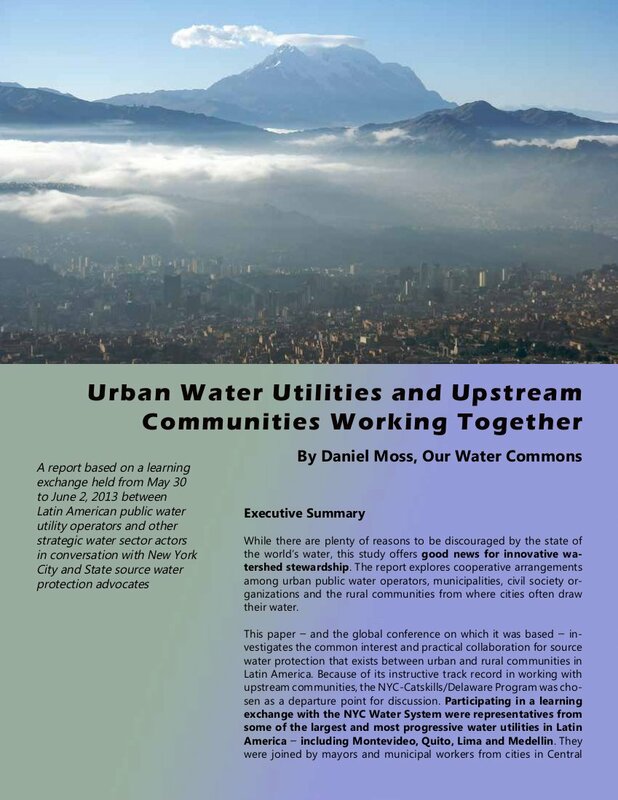 This report based on a learning exchange held from May 30 to June 2, 2013 between Latin American public water utility operators and other water strategic actors in conversation with New York City and State source water protection advocates. While there are plenty of reasons to be discouraged by the state of the world’s water, this study offers good news for innovative watershed stewardship. The report explores cooperative arrangements among urban public water operators, municipalities, civil society organizations and the rural communities from where cities often draw their water. Successful experiments involving new types of support and cooperation in water management are underway in Latin America. This happens through public-community agreements and within the framework of Platform for public community partnerships in Americas (PAPC). 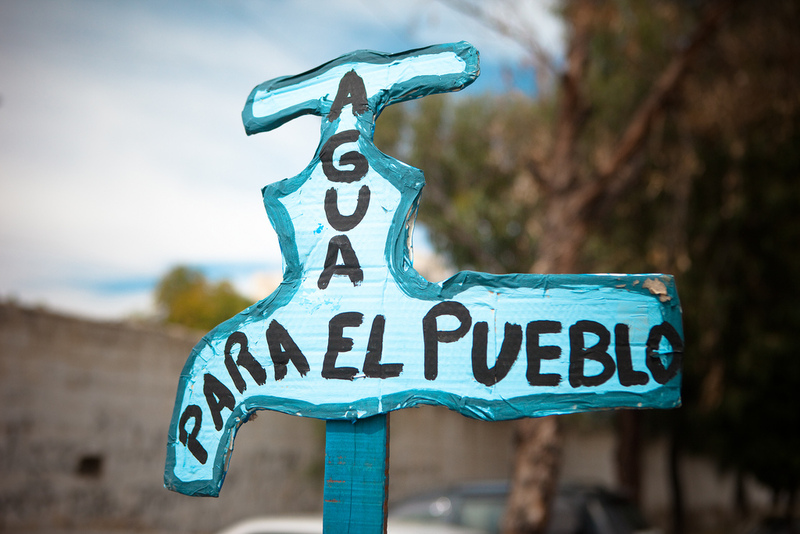 The video 'All of One and One for All’ to highlight partnerships among water committee (community water operator in Bolivia) and community organizations (San Miguel Km 4 water committee and Habitat for Women in the Auxilidadora Community). It is not often that social movements up against some of the most powerful corporate interests have much cause to celebrate. But water justice activists from the Reclaiming Public Network meeting in Barcelona in November 2013 had a good reason to acclaim progress while also looking ahead to new challenges. Remuniciaplisation is a growing global trend. 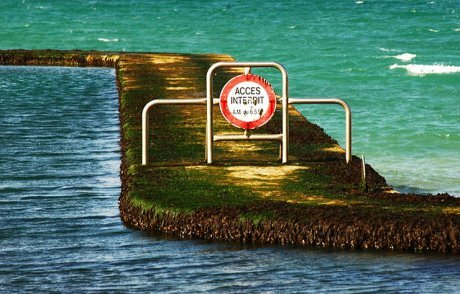 With a view to sharing specific experiences of remunicipalisation, the Reclaiming Public Water network and Aigua és Vida, a Catalan platform organised a public event to explore several concrete cases in Europe. Beatriz Martinez from Transnational Institute reports the event. 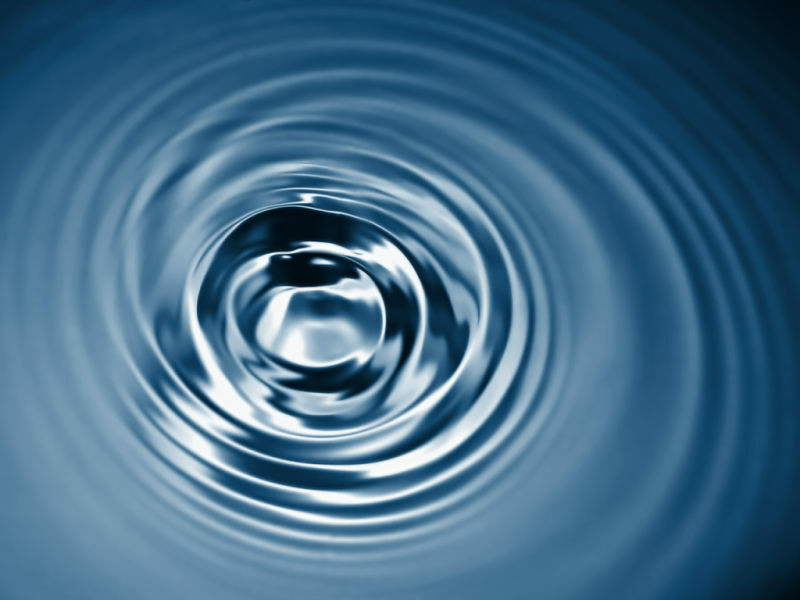 Today, India is a favored market for Veolia and the French water industry. 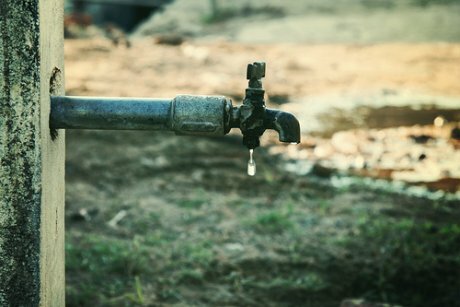 This is both for commercial reasons and because public private partnerships (PPPs) in India are seen as a good opportunity to restore their international reputation and rehabilitate water privatisation. Veolia is eager to paint a very rosy picture of the new contracts it has signed in Nagpur, Delhi and elsewhere. Reality on the ground, however, is very different. 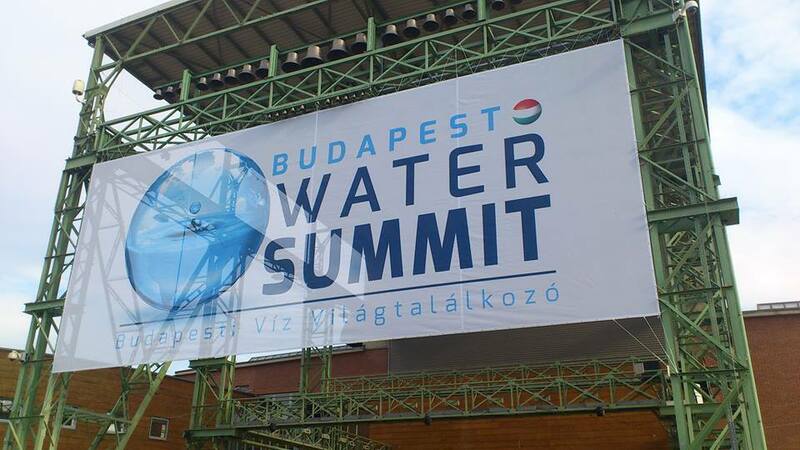 Financial opacity, conflicts of interest, opposition from local residents and officials - all the usual problems associated with water privatisation are still there. 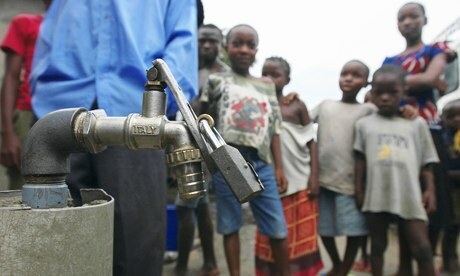 Have French water multinationals learned nothing from the past? The report is published at Mautinationals Observaotry. Reclaiming Public Water the book, new chapters added, multiple languages!